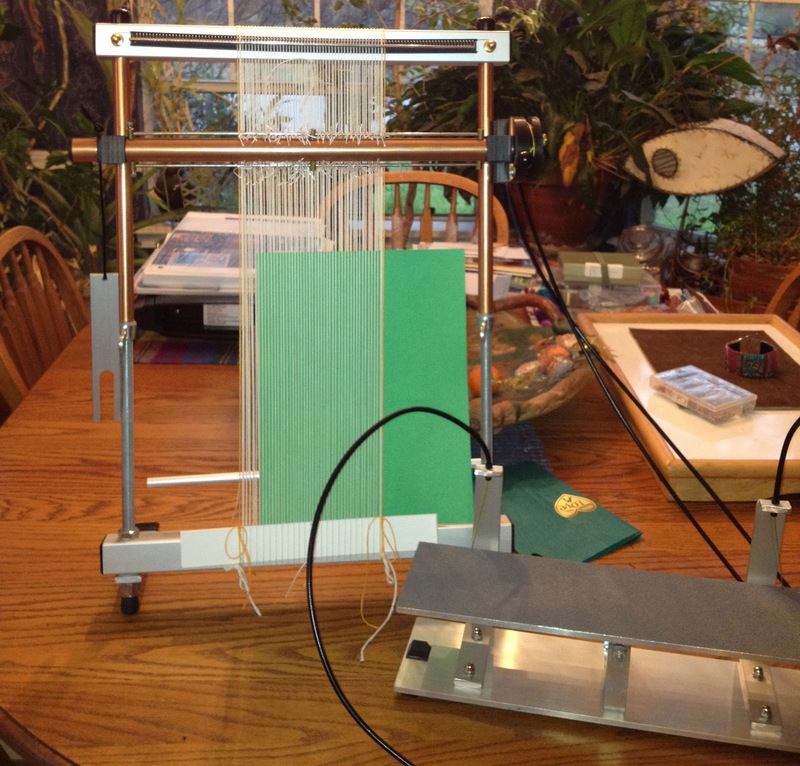 Next I added a 16" Big Sister loom so I would have something more portable for smaller projects. 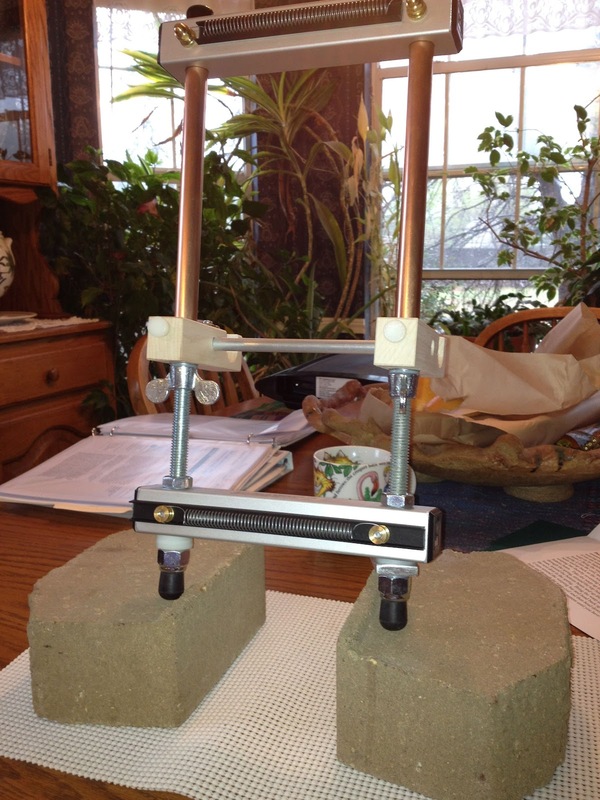 Here is a picture of mine with a warp just finished and a treadle attached. 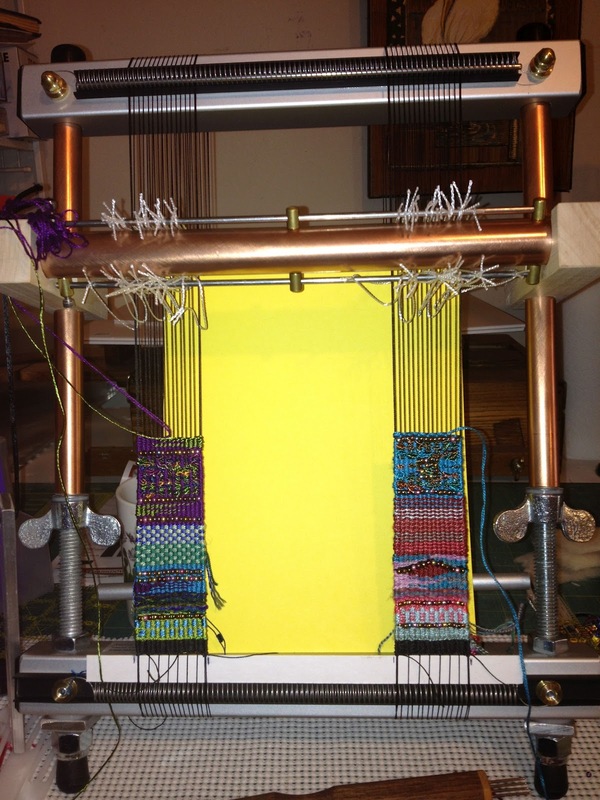 One of the nice features of the Mirrix treadle is that it can be used on any of the looms with a shedding device and can be moved easily from one loom to another. I have also included a picture of the Big Sister with a project in progress. 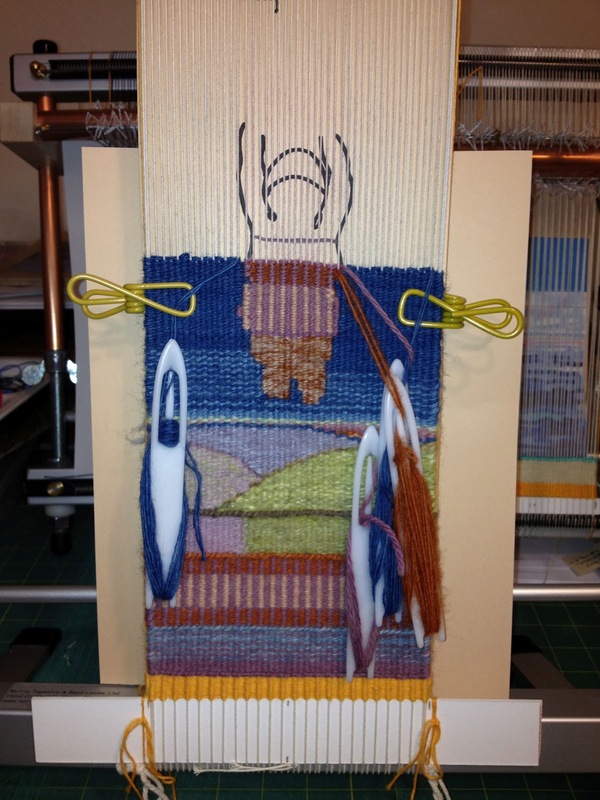 The 12" Little Guy came next for an even more portable loom that is great for small tapestries and tapestry or bead jewelry projects. I have a picture of mine with two tapestry bead cuff bracelets being woven together. 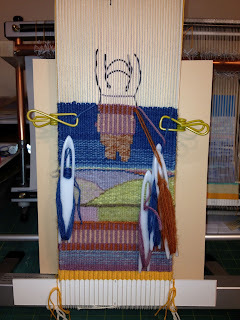 Finally, I recently added an 8" Lani Loom which is so nice for the jewelry projects and allows me to use the Little Guy for small tapestry projects that I really enjoy! 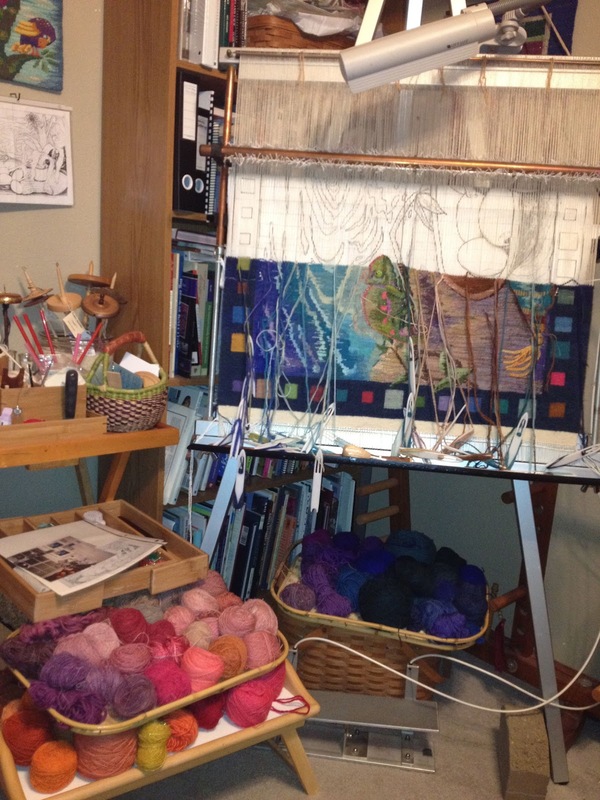 In one picture I have the loom set up to warp. 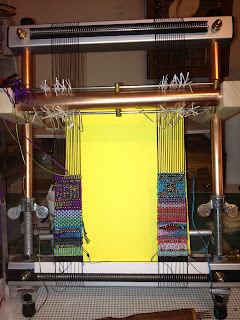 I always place the blocks underneath to provide some clearance space for moving the warp thread around the loom. 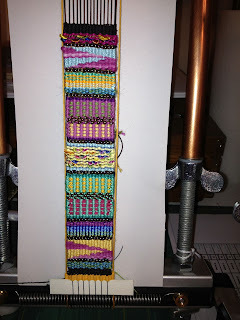 In the other my Lani has a tapestry bead cuff bracelet in progress. I have enjoyed using my Mirrix looms so much that I have recently become a dealer for Mirrix Looms, and I can order for you and even help you get started weaving on it if you are close by. I will be doing some shows in the future and plan to announce where and when on this blog. 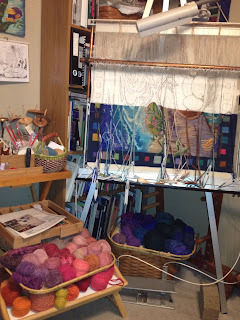 I will have several looms to show and some demonstration projects going as well as some of my favorite tools and accessories and tapestry weaving books. 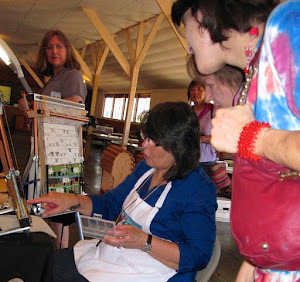 I will be at Route 66 Rendezvous in Edmund ,Ok on May 19th from 9am to 4pm at the Legion Building, 101 E 5th St and I hope to see you there.